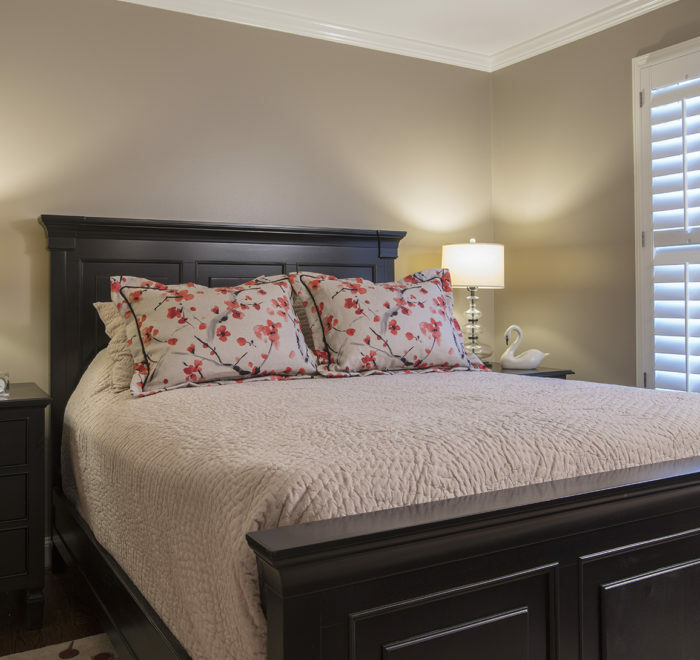 It’s not unusual for us to be called to help a previous client decorate a new home. 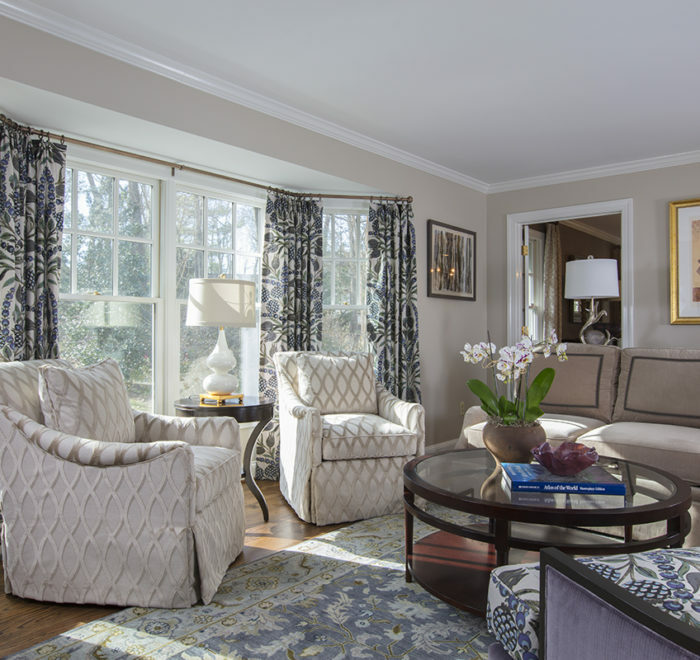 A desire to downsize to a one floor plan was the reason for our client’s recent move. 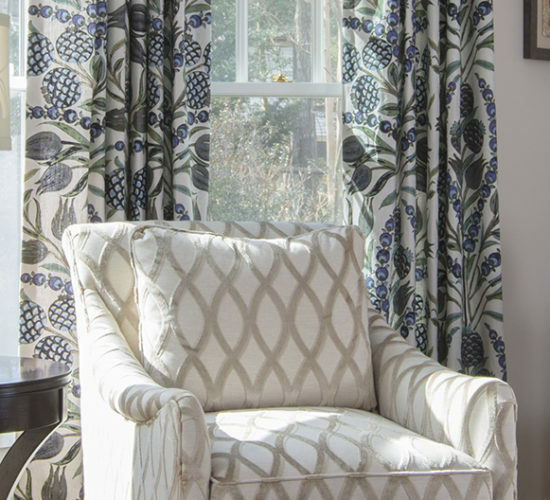 Partnering with Interior Designer Lisa Publicover, no detail was overlooked resulting in a well appointed and comfortable home to settle into. 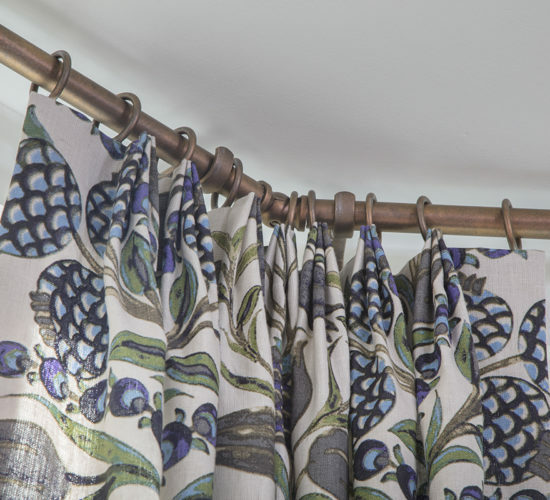 An eye catching floral chosen for the living room draperies and beautiful embroidered fabric for the dining room offer a dramatic backdrop for their new furnishings. 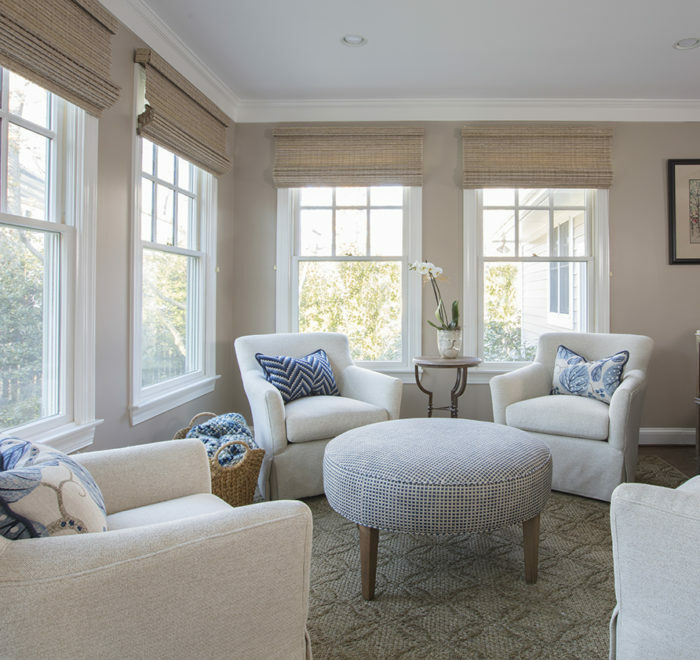 In the family room, two comfortable seating areas are perfect for small intimate gatherings. 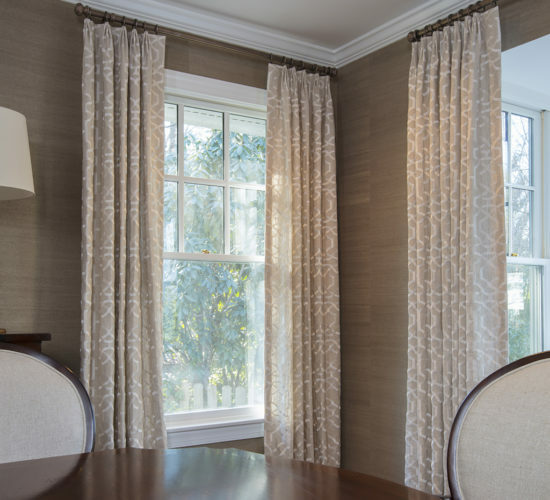 Of course no room is complete without window treatments. 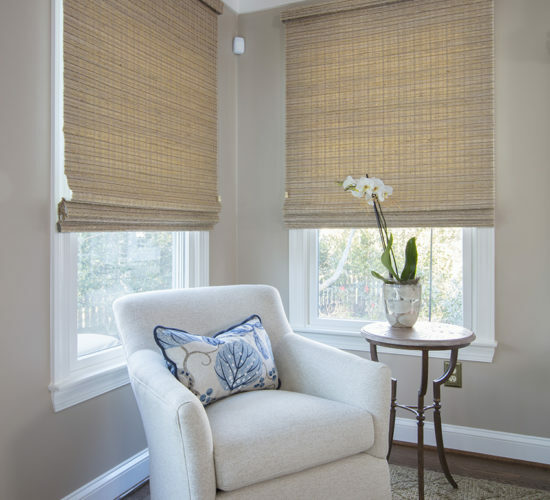 Hunter Douglas Woven Wood shades softly filter the afternoon sun and provide beauty and warmth when lowered in the evening!